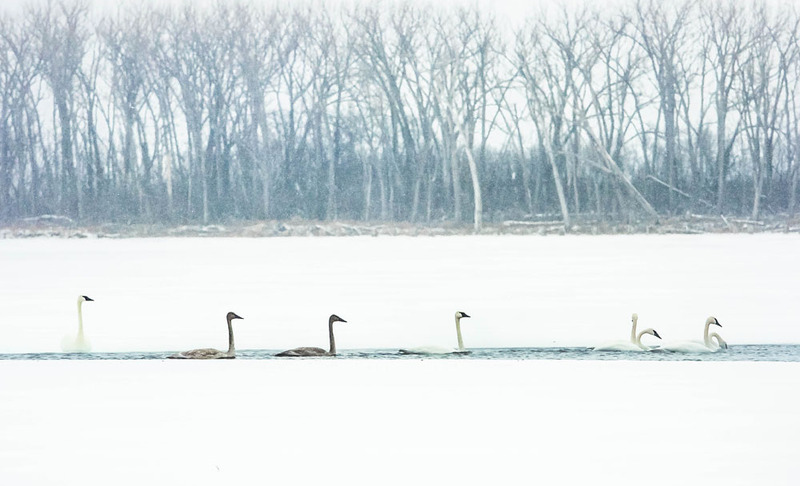 Swans swimming back and forth keep a patch of water open on Lake DeSoto Monday. 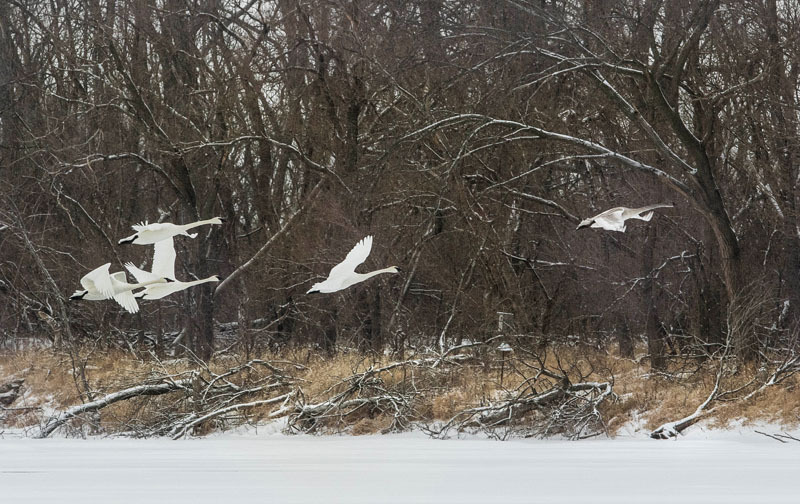 As light snow falls and temperature drops, while a flock of swans and a gaggle of geese swim and feed on an open patch of open water on lake DeSoto at DeSoto Bend NWR Monday. Four to five or more inches of ice and snow covered most of the lake. 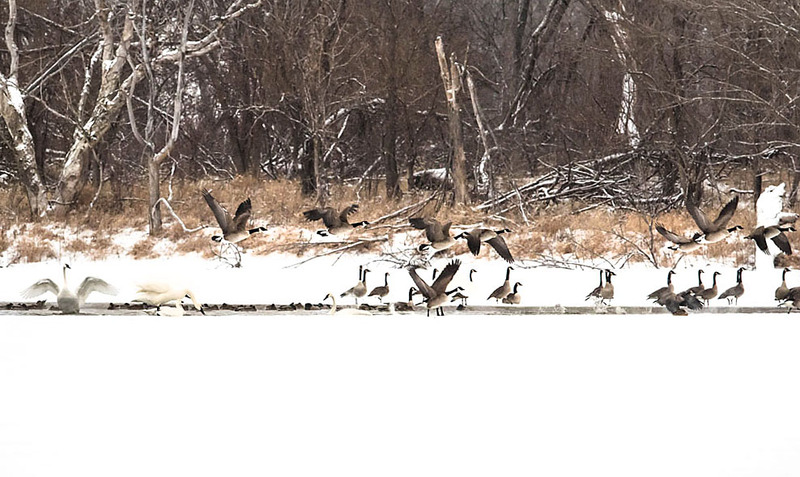 Swans, geese and ducks keep a patch of water free of ice on lake DeSoto. 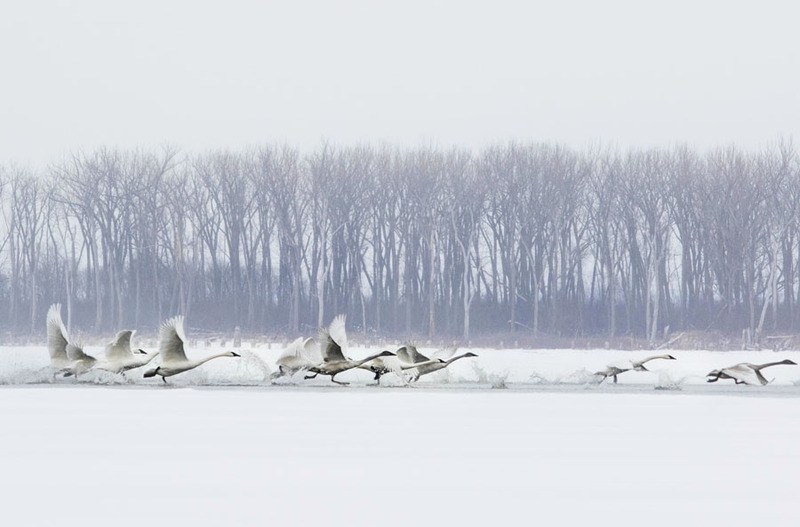 Swans take to the sky after an eagle perches in a tree nearby.